Alicia Espinosa was born on December 22, 1917. She grew up in Havana, Cuba loving to play the piano, reading, and being a loving friend and sister to Conchita. 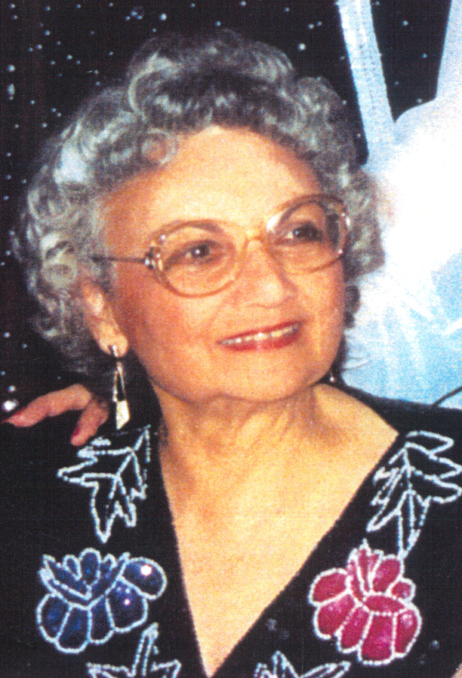 She encouraged and supported Conchita when she decided to open a musical kindergarten in 1933 and for the next 80 years she fostered Conchita's dreams of building a school and conservatory and made sure they worked. Alicia was the one who did the practical side of running a successful place for learning and growing. She was the one who handled the finances, the paperwork, and the numerous logistics that go into guiding a school. She was the first one to arrive each day, turning on the lights, greeting the children, and preparing everything for students and teachers to have a place where they could soar. Alicia was also a gifted piano teacher herself. She had a special talent for the coaxing of little fingers to the right keys and correct positions and helping them find joy in the music they created. She was never one to seek the limelight. She didn't look for recognition and praise. She had no love of power, but she knew deeply the power of love and shared that with everyone she knew. She worked quietly, dedicating her life to Conchita, Maribel and Luis, Carol and Ana, and the school. She made a difference with her loyalty, her consistency, and her gifts of music and good sense. At the heart of all libraries are good stories. At the heart of all good stories are beautiful memories and important lessons. At the heart of our memories are Alicia and the product of her hard work. This library is dedicated to Alicia Espinosa, at the heart of CEA.